The second Virotyp table model appeared with a wider type rail, so that it could hold standard A4 paper. Apart from the highly decorative open base that is shown here, the machine appeared with a closed base, that is presented in a separate entry. 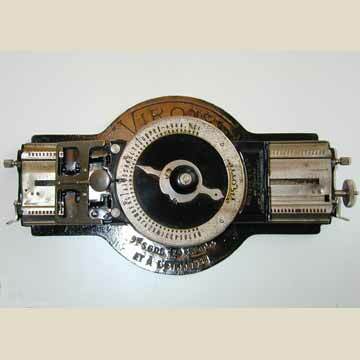 See the other entries on the Virotyp for further details on the machine and it's history.